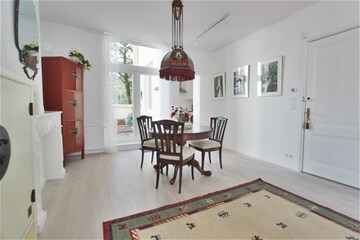 New renovated 1 bedroom apartment of 55 m2 on the first floor with private terrace, a top spot in the Plantage neighborhood around the corner from Artis, the Hortus and the city center. The apartment is located on the stately Plantage Muidergracht, in one of the most beautiful neighborhoods of Amsterdam in a stately building on the fourth floor. 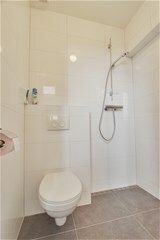 The whole is well maintained and looks neat. 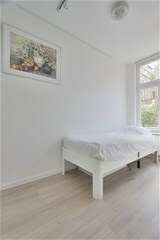 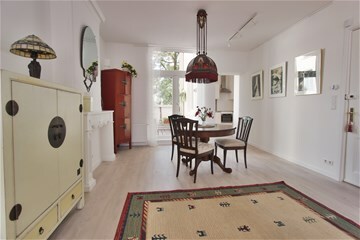 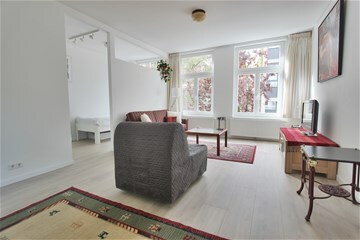 The apartment is located in the center of Amsterdam in a nice, cozy neighborhood with many restaurants, cafes and shops. 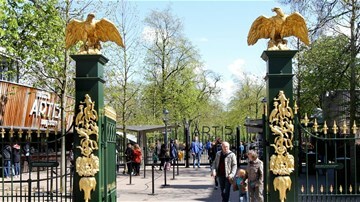 It is a beautiful, green area near the Artis, the Hortus Botanicus and the Wertheimpark. 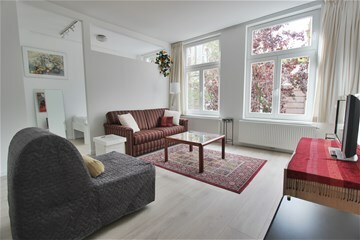 The canals, the Stopera and Carré are within walking distance. 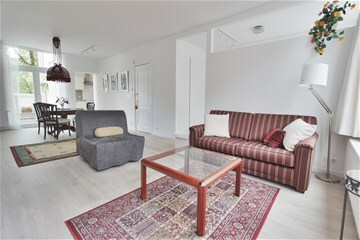 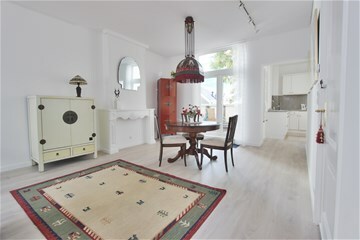 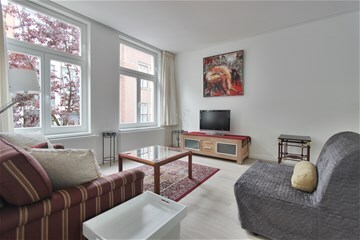 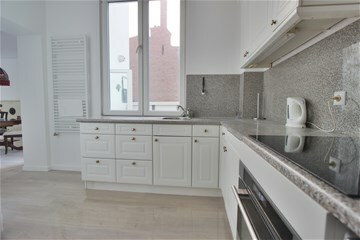 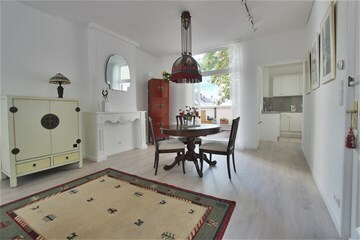 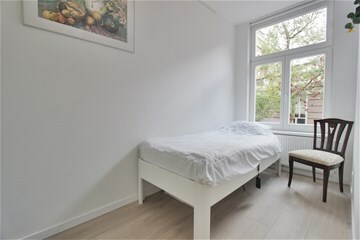 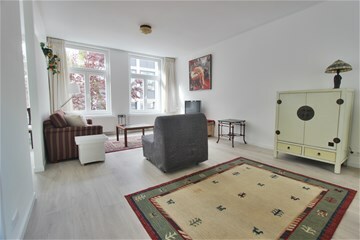 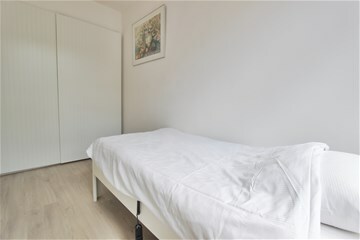 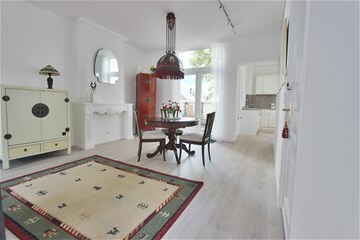 The apartment is easily accessible by private transport with a good connection to the A-10 ring road, via the IJ tunnel and the Piet Hein tunnel. 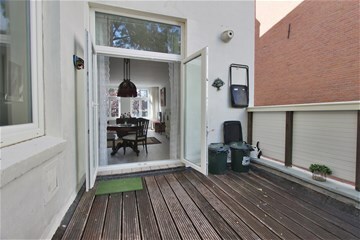 Parking through a permit system. 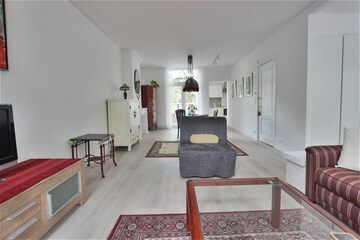 There are many public transport facilities including the tram lines 7, 9, 10 and 14 and the metro lines 51, 53 and 54.
entrance hall, spacious living room with big windows creating a lot of natural light in the apartment. 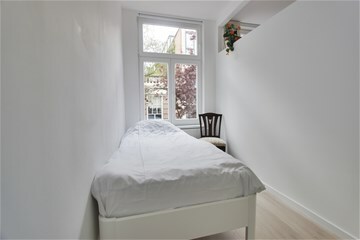 Bedroom with built-in wardrobe and single bed. 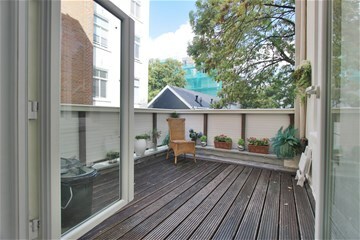 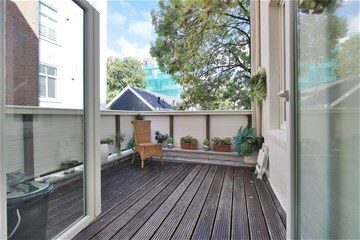 From living room access to a spacious terrace situated northeast. 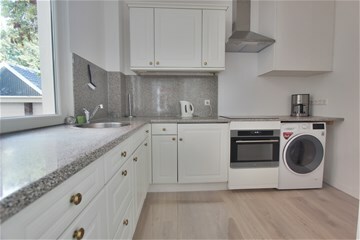 Kitchen with built-n appliances. 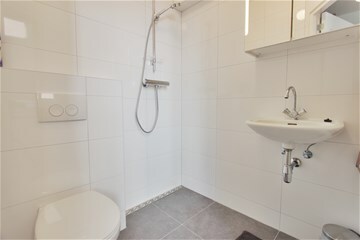 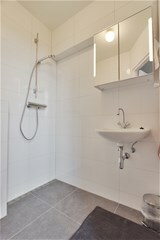 Bathroom with shower and toilet and sink.